RPF Admit Card 2018 Released on 09/12/2018. Download Railway Protection Force Admit Card now. Check RPF exam dates, venue and timings in RPF Constable Admit Card. Get RPF Railway Constable Hall Ticket Download Process in the following sections. Also, check rpfonlinereg.co.in Sub Inspector Hall Ticket Download Link at the bottom of this page. Along with all these, obtain RPF Syllabus and Previous Papers for preparation purpose. RPF Sub Inspector & Constable Exam Dates 2018-2019 Announced. Check the link for Detailed information. RPF Roll Number Available from 15th November 2018 @ rpfonlinereg.co.in that too only for Valid Applicants. Have you applied for Railway Protection Force 9,739 Vacancies? 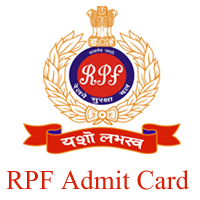 Then, quickly download your RPF RPSF Admit Card now. Board release the Admit Card for RPF Railway Constable & Sub Inspector Exam 2018. Therefore, all applied candidates can download your RPF Hall Ticket as early as possible after the official announcement. To download RPF Constable Hall Ticket 2018, candidates need not go for more website. Here, we have mentioned the direct link for RPF Police Admit Card Download Constable & SI. Therefore, aspirants can easily download your Railway Protection Force Admit Card Online by using the below link. Name of Post Constable (Men & Women). Last date for Application 09th May 2018. Know your Roll Number 15th November 2018 onwards. 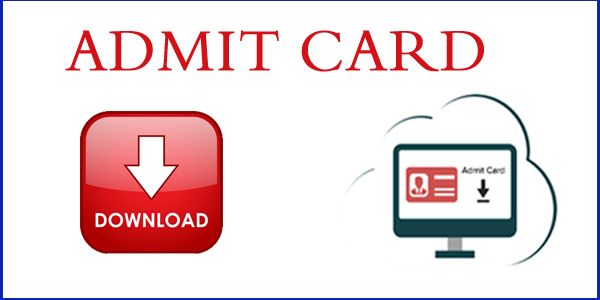 RPF 2018 Admit Card Download Date 10 Days before Exam Date (Started on 09th Dec 2018). RPF Exam Dates Sub Inspector 2018 (CBT Online) 19th December 2018 to 19th January 2019. RPF Constable 2018-19 CBT Dates 20th December 2018 to 19th February 2019. Aspirants who have applied for the RPF Recruitment 2018 must download the Railway Constable Police Hall Ticket 2018 now. RPF Constable Exam Admit Cards available from few weeks before the exam. Therefore, all applied candidates must take the hard copy/ hard copy of your Railway Protection Force Constable SI Exam Admit Card 2018 as early as possible. Candidates can get their exam dates, venue, timings, etc in the allotted RPF Constable Hall Ticket 2018 only. These details are very important for the candidates to attend their RPF Written Exam 2018 within the time and date perfectly. Also, candidates should have to show their RPF Constable Admit Card hard copy to enter into the examination hall. Hence, RPF Women’s Admit Card 2018 will act as an entry pass at the examination center. Therefore, aspirants must download your Railway Protection Force Constable Admit Card 2018 by using the below link. 1. RPF/ RPSF Constable Admit Card Click Here 20/12/2018 to 19/02/2019. 2. RPF/ RPSF SI Admit Card Click Here 19/12/2018 to 19/01/2019. Otherwise, below, we mentioned the direct link for RPF Constable Exam Call Letter Download. By click on the below link, aspirants will be redirected to direct home page, where they are asked to enter registration details. Thereby, aspirants have to enter their RPF Registration details such are registration id, date of birth, and other details. After that, the Railway Protection Force Admit Card 2018 displayed on the screen. Aspirants can download and then keep the hard copies of RRB RPF 2018 Admit Card to attend for the written test. Aspirants can also download the RPF Railway Constable Exam Hall Ticket 2018 from rpfonlinereg.co.in website through the following steps. Railway Protection Force announced the Written Examination/ Computer Based Recruitment Test (CBRT) Dates. So, complete your RPF Exam Preparation as soon as possible because the board may announce RPF Exam Date & rpfonlinereg.co.in Admit Card 2018 Download pdf dates at any point of time. Aspirants must download your RPF Railway Exam Admit Card before going to attend the exam. Because it is must to carry the indianrailways.gov.in RPF Exam Admit Card 2018 while going to attend the exam. Without Railway Protection Force Hall Ticket 2018, candidates are not allowed to enter into the examination hall. So, aspirants must remember to bring your RPF Constable Exam 2018 Admit Card while going for the exam. Don’t you know how to download RPF Admit Card 2018? Then chill now and go through the following information. For the aspirants who have no idea about how to obtain RPF Constable Exam 2018 Admit Card, here we have mentioned the complete details regarding that. We have provided the step by step process of Railway Protection Force Constable CBT Admit Card Download Procedure. Therefore, aspirants can refer the given RPF Constable 2018 Hall Ticket Downloading Steps. Aspirants can get their RPF RPSF Hall Ticket easily by doing the following procedure. At first, open Railway Recruitment Board (RPF) official website. Check for RPF 2018 Admit Card Notification. RPF 2018 Hall Ticket will be shown on the home screen. Finally, keep some no. of RPF Exam 2018 Admit Cards hard copies with you for future use. On this RRB Recruitment web page, we have provided the RPF Constable Exam Syllabus, Test Pattern, and Previous Year Question Papers along with rpfonlinereg.co.in hall ticket. Therefore, aspirants can also have a look on the following Railway Exam Preparation Materials to get good marks in the written test. when admit card will be release? what about 2017 openings and exam dates??? It comes in recruitment formality.in ur case you can refill ur form with an extra charge of:250 rupies to assure ur admit card at time. sir, I am already apply for SI. so, I am eligible for applying constable vacancies? It depends on the exam date status whenever it takes place.if dates varies than sure why not? sir maine rpf from bhar diya tha lekin uska holtikit abhi tak nahi aya hai? kabh ane vala hai? Group me cirrection ho sakta hai kya. respected sir,when we can get date of examination.kindly let me know it. RPF SI ka Admit card ki koe info. hai kese ko..????? How much RPF application?? What is the procedure to change the economically back ward class to normal application!! RPF constabel exam kay re se…?